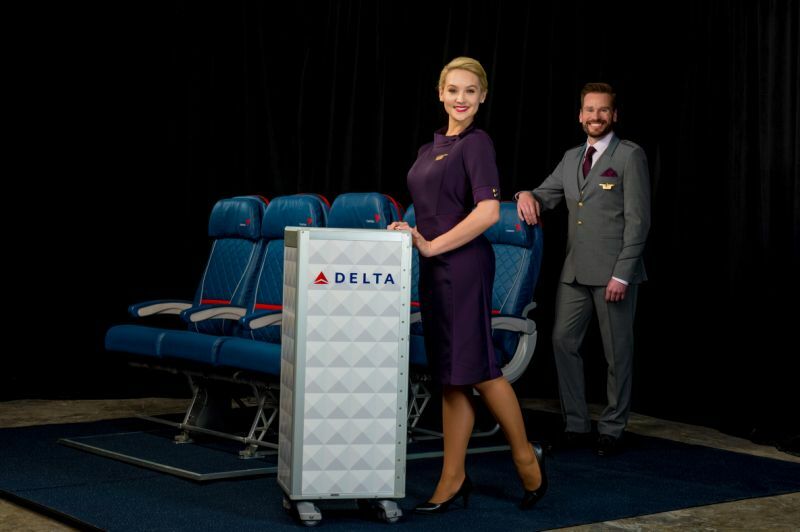 Zac Posen’s Memorial Day plans are all about travel, as he officially launches new uniforms for Delta. The designer will be at LaGuardia Airport Monday afternoon with Delta staffers showing off their new attire, around the same time that a Singapore departure will be taking flight wearing his designs. In total, Posen and his team are suiting up 64,000 staffers. Lands’ End partnered on the project to handle the production, which included a wide range of sizing including petites and tall. After the Memorial Day debut, Posen will board a plane to fly to Delta’s home city of Atlanta for the start of a whirlwind 48-hour cross-country tour that will feature fashion shows in-flight and in airports. He will also make stops in Minneapolis and Los Angeles. With the help of the Savannah College of Art & Design, fit clinics were set up in all of Delta’s worldwide hubs so that employees could consult with stylists to ensure they felt comfortable, empowered,” Posen said. “I’m a designer who has always celebrated all bodies and body types.” Spanx provided seven shade options for hosiery.